As I'm out and about, the first thing people notice when they glance my way is the enormous four ton weight atop my broken body. I get it. We are, by our very nature, superficial creatures. 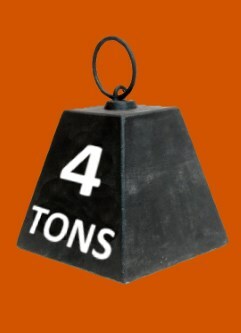 But there's so much more to me than the classic black iron trapezoid with a handle and the words "4 Tons" printed in bold white letters on its side. See that I am also a hand peeking out from under the weight, palm up to the sky, twisted fingers strained and twitching. Circle the weight until you reach the opposite corner and see that I am also a foot inside a shoe, pressed as flat as a sheet of paper and squeezed out from a spot where you wouldn't think a foot would be. Curiously, there is nothing graphic about the visual. It's just a two dimensional white sneaker with red trim, perfectly preserved and stretched out five times as wide as it once was. Listen long enough and you will eventually hear that I am a voice, small and uncertain, saying, "Oh man this four ton weight is pretty heavy." Basically, I'm just like you. 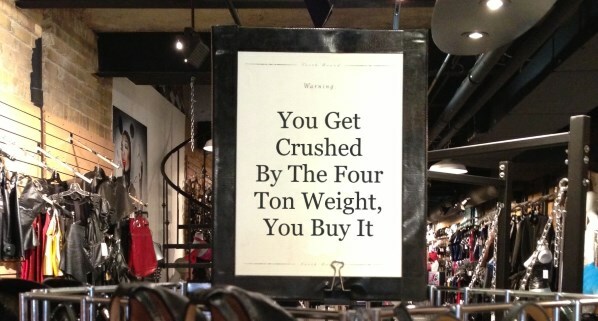 If I had known the weight cost nearly two thousand dollars, I would have never allowed myself to be crushed by it. I also have hopes, just as you do. It is my dream that if I work hard and apply myself, I can remove this terrible four ton weight from my body, and replace it with a brand new two ton weight. Let's Have Fun with Fitness Equipment!